As an active safety technology, ESC integrates ABS (Anti-Lock Braking System) and TCS (Traction Control System) and is an intelligent safety system that uses sensors to constantly monitor vehicle performance. If the system detects a risk of skidding, it instantly brakes the appropriate wheel and, when necessary, reduces engine output in order to stabilise the vehicle and put it safely on track. The latest World Health Organisation statistics reveal over 1.3 million road deaths globally in 2017. This distressful number translates into 3,500 road deaths each day, out of which India saw around one fatality every three minutes on its roads and 400 not returning home every day. While there cannot be a value put to human life, the socio-economic losses claimed by these road accidents are to the tune of a humungous Rs 3.30 lakh crore or roughly 3 percent of India's GDP. The second week of May is when the topic of road safety assumes even more prominence with the United Nations’ Global Road Safety Week being observed around the world. 2018 is the eighth year in the UN’s Decade of Action for Road Safety, with its goal to stabilise and then reduce the forecast level of road traffic fatalities worldwide by increasing activities conducted at the national, regional and global levels. To debate and discuss road safety among industry leaders and professionals of the automotive industry, Autocar Professional has been hosting its annual webinar since 2015. While last year, the agenda for discussion was ‘Embarking on a Safer Journey’, the fourth edition of the online event this year brought to the fore opinion on ‘Technologies and Regulations for Safer Indian Roads’. The initiative on the Internet involved an eminent group of panellists and industry experts representing a global industry safety watchdog, a major home-grown carmaker, the Indian arm of a leading global lighting equipment supplier and a German technology and services supplier. The webinar, moderated by Autocar Professional’s executive editor Sumantra B Barooah, and Hella India Lighting as the title sponsor, saw panellists debate various safety-related issues, specific to their strengths and domains. However, what they all agreed upon is that while technology continues to be the driving force to save lives, it is not the silver bullet or the final solution. In a country like India, it has to be used in conjunction with increased awareness and education if it is to achieve its mission optimally – reduce the number of accidents and save lives. 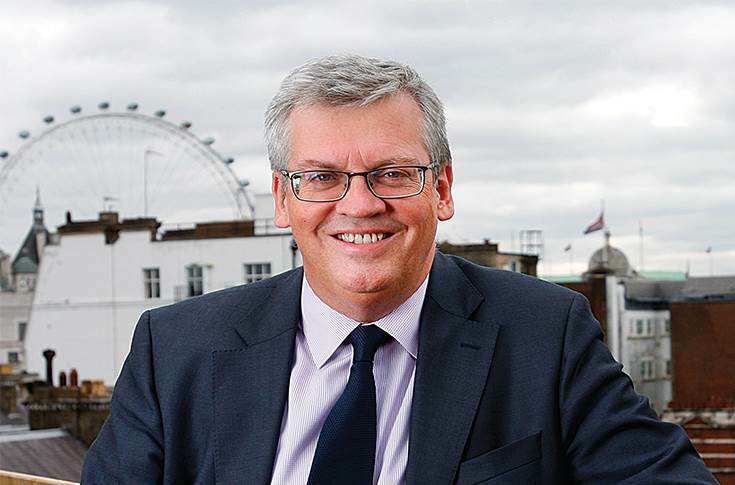 David Ward: "ESC could play a transformational role just like seatbelts have. Fatal single-vehicle crashes involving cars are reduced by about 30-50% and SUVs by as high as 50-70%." Making their presence felt were David Ward, secretary general, Global NCAP; Jyotindran S Kutty, head – Vehicle Attributes and Technical Services, Tata Motors; Ramashankar Pandey, managing director, Hella India Lighting, and Alexander Klotz, head, India Technical Centre, Continental. While it is the low and middle income countries, which comprise 90 percent of the global road deaths and have fatality rates twice that of high-income countries, these markets are also motorising rapidly and account for half of the new car production and sales worldwide. Over the next 15 years, the global vehicle fleet is expected to double, posing an unprecedented road safety challenge. Hence, implementation of new active and passive safety systems in vehicles, as well as regulatory reforms are going to play a critical role in enhancing occupant and pedestrian safety on the road, and thereby help improve road safety and curtail accidents. With regard to safety regulations, the United Nations, in April 2018, adopted a resolution which encourages member states to embrace policies and measures to implement the UN vehicle safety regulations or equivalent national standards to ensure that all new motor vehicles meet applicable minimum regulations for occupant and other road users’ protection, with seatbelts, airbags and active safety systems as standard. The guidelines also encourage countries to participate more and more in NCAP tests and cut down on unsafe cars. 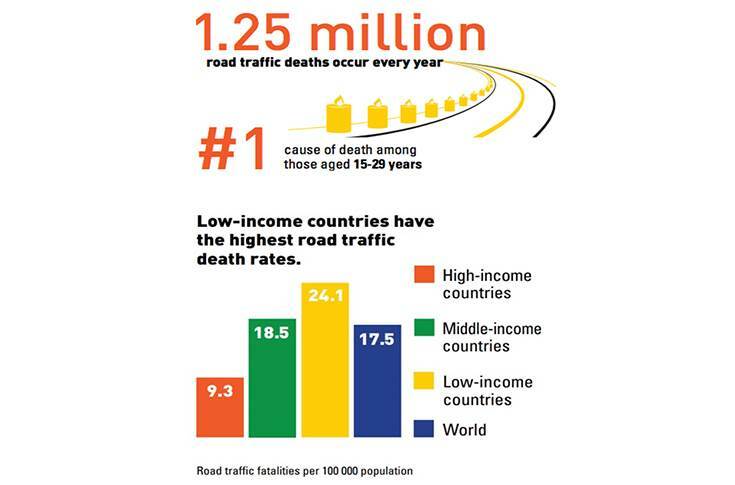 Low- and middle-income countries account for 90 percent of global road deaths and have fatality rates twice that of high-income nations. These countries are also motorising rapidly. David Ward, secretary general, Global NCAP, shared the UK-based safety watchdog’s vision of all new cars meeting the UN crash test standards with airbags, ABS and ESC becoming a standard fitment by 2020, which is also the final year of UN’s decade of action for road safety. The status quo in 2017, however, stood at a notable 20 percent of a total of 73.4 million cars sold globally failing to meet the UN’s minimum safety standards, and lacking airbags, ABS as well as ESC. In emerging markets like India, Global NCAP has been working with nodal bodies like the Institute of Road Traffic Education (IRTE) to come up with localised crash norms to completely eliminate zero-star cars from the roads. Global NCAP started off with its ‘Safer Cars for India’ project in 2014, and since then, the programme has acted as a catalyst for action by the industry and the government, which was pushed to mandate crash test standards for new models from October 2017. The crash test regulations are now set to extend to all existing passenger vehicle models on sale in the country by October 2019. These mandatory norms now require every new model to be subjected to offset frontal and side impact crash tests, which are conducted at nodal testing agency, ARAI’s newly developed crash test facility at its premises in Pune. “NCAPs provide a platform for customers to gauge what the manufacturers are up to and offer a fair and transparent opportunity for the consumers. While it may have been controversial at the beginning, manufacturers slowly realised the value of such a project, where they could actually perform well and leverage it in good light by showcasing their voluntary efforts gone into making safer products for the customers. The Volkswagen Polo was one such example where the car scored well and the company went on to claim credits to enhance its sales,” said Ward. Global NCAP is also spearheading the ‘Stop the Crash' programme, which promotes the implementation of priority crash avoidance systems for passenger cars, buses, commercial vehicles and motorcycles. These systems include Electronic Stability Control (ESC), Autonomous Emergency Braking (AEB) and motorcycle ABS. While the ESC is an anti-skid system with capacity to reduce up to 40 percent of run-off road crashes and also being mandatory in a growing number of countries, AEB automatically applies the brakes if the driver does not react and can cut collisions at low speeds by up to 20 percent. Pedestrian systems are also appearing and will become an important injury prevention technology in future. “While the EU is proposing mandatory implementation of AEB in cars (to come into effect probably from 2020 onwards), with an announcement on May 16, it would however be immature at this stage for India,” said Ward. “On the other hand, ESC could play a transformational role just like seatbelts, with numerous studies showing it to be highly effective. Fatal single-vehicle crashes involving cars are reduced by about 30 to 50 percent and SUVs by as high as 50 to 70 percent. Moreover, fatal rollover crashes are estimated to be about 70 to 90 percent lower with ESC,” pointed out Ward. ESC is mandatory in Australia, Canada, the European Union, Israel, Japan, New Zealand, Russia, South Korea, Turkey and the USA. It will soon also become mandatory in Argentina, Brazil and Malaysia. Last year in China, the major domestic brands too made a voluntary commitment to fit ESC as standard. “While China currently is at 69 percent penetration of ESC technology, India is far behind at merely 7 percent, and thus, holds huge potential in enhancing vehicular and road safety by implementation of this highly cost-effective safety technology. ESC is a relatively low-cost technology which can have a big impact on safety and reducing accidents in India. In fact, if there is to be a single priority in pushing crash avoidance in India, then it is ESC." “The important thing is to keep working on different aspects of safety in India and across the world. I continue to be impressed by the increased level of discourse, public debate and government action on the automotive and road safety front in India,” Ward concluded. Ward used the webinar as a platform to announce the Global NCAP’s first World Congress to be held in Delhi from September 26-28 in association with IRTE. The Congress will bring together NCAPs worldwide at IRTE’s College of Road Traffic Management to share their experience in building a market for vehicle safety. Importantly, the World Congress will feature the India launch of the ‘Stop the Crash’ partnership, with live demonstrations of life-saving crash-avoidance technologies including ESC. Tata Motors, which is seeing robust passenger vehicle sales, and sold 210,200 units in FY2018 to record YoY growth of 22 percent, is also looking at improving the safety of its vehicles by increasing the level of active and passive safety systems. While the company has been focussing on offering good structural integrity on its cars, the crash testing of its Tata Zest compact sedan model by Global NCAP in 2016 brought out some critical nuances, where the car was capable of scoring an impressive 4 stars in its dual airbag variant, but could barely manage any occupant protection without any passive safety features on-board. Having the second largest road network in the world, the quantitative road density of India at 1.70 is higher than that of even some developed nations like the US (0.67). Road length in India increased 1.4 times between 2005 and 2015, and the registered vehicle fleet grew 2.5 times to stand at a substantial 210 million vehicles at present. However, with a diversified mix of different mobility solutions, including two-wheelers and autorickshaws, the personal car fleet size in India is still very low at around 20 cars per 1,000 people, against a notable 450 per thousand in the US. Clearly, there lies an impending boom in the growth of the passenger car volumes, which also hints at an increase in the number of road accidents, and the need to strengthen the road infrastructure. In 2017, there were a total of 458,027 road accidents, resulting in 460,213 injuries and 146,377 fatalities. Seized of the urgency of the situation, the government through the Ministry of Road Transport and Highways (MoRTH) is spending big on road infrastructure development and is working with the 4E philosophy – Engineering, Education, Enforcement, Environment – which includes rectification of black spots on highways, installation of crash barriers in hilly areas, carrying out road safety audits, implementing effective road engineering solutions and educating drivers. Rs 1,100 crore has already been allocated to this drive between FY2015 and FY2017. Early recognition through lighting gives more time to react and longer braking distances to drivers, thereby reducing the chances of an accident dramatically. “Safety is not just critical, but a priority through all 4Es working together in tandem. The government through regulations, NGOs, OEMs and the public at large are attempting to address road safety holistically,” said Kutty. Evolution in terms of safety regulations remains a continuous process and India, with its own set of political, social and economic challenges, has come a long way in the evolution of both active and passive safety norms. While the active safety regulations demanded basic requirements like ORVM fitment, proper lighting bulbs, and fitment of reflex reflectors at the rear of a vehicle in 1993, the country is set to witness mandatory fitment of driver and co-driver seatbelt alarms, overspeeding alarms and reverse parking alert systems (R-PAS) from July 2019. On the passive safety systems front, seatbelts became a norm in 1993, side intrusion beams came into the picture in 1997 with pedestrian protection slated to be an integral consideration of a vehicle’s design for all new models by October 2018, later extending to existing models by October 2020. Mandatory driver airbags and manual override for central locking systems are to come into force on all cars manufactured from July 2019. “While most of the regulations prevailing in Europe are already being implemented in India in one form or the other, with the operating speed limits in India being lower than in Europe, the India-specific Bharat New Vehicle Safety Assessment Program (BNVSAP) is a proposed new car assessment program for India. It will be a regime to assign star ratings based on assessment of safety performance of a vehicle,” said Kutty. Importantly, the voluntary offering of safety features from different OEMs has been consistently on the rise over the past three years, with driver airbag now being a standard fitment on 80 percent of the models sold, as compared to 56 percent in 2015. On the other hand, passenger airbag penetration stands at 70 percent, up from 46 percent in 2015, and ISOFIX child seat anchorages being present in 30 percent of the cars sold in 2017, as against being offered in merely 5 percent of the cars in 2015. 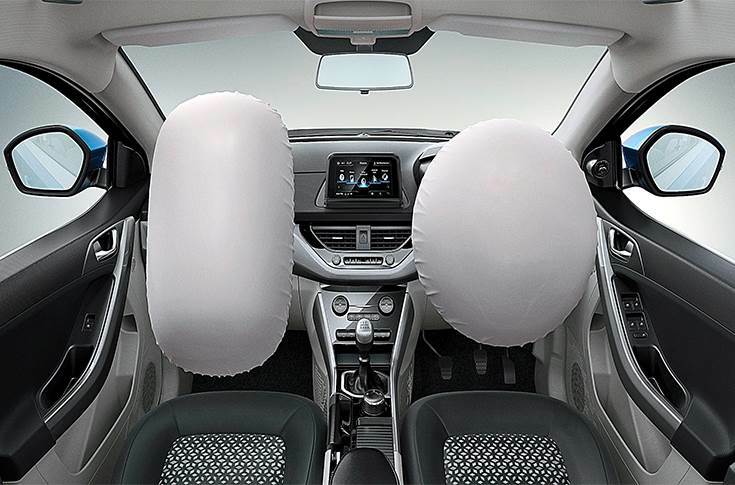 While Tata Motors has also started offering dual front airbags as standard fitment on the popular Nexon compact crossover, the company is also extensively engaged in providing advanced training and infrastructure across the country, by collaborating with 66 training institutes including Institute for Driver Training and Research (IDTR) and Mechanical Motor Vehicle Training (MMVT) institutes. “We would always like to be known as a safety-centric company. We are also looking at all our new passenger vehicles to meet Global NCAP protocols," said Kutty. German automotive lighting major Hella has adopted ‘Vision Zero’, where it aims to cut down road accidents to nil by focussing upon ‘recognition’ of threats on the roads with its lighting technologies. The company’s vision aims to arrest the alarming number of road deaths in the country with breakthrough innovations and by going beyond regulations for improving road safety. “Innovation is always ahead of regulation; in fact it needs to go beyond just meeting regulation. 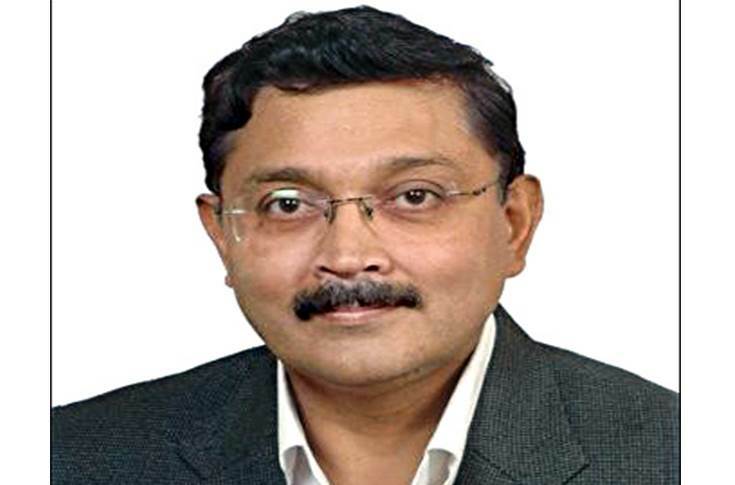 We cannot just copy what is available around the world, it needs to be adopted to meet local challenges,” said Pandey. Affordability plays a crucial role in enhancing the adoption of any new technology, particularly with limited purchasing power at the disposal of the Indian consumer. “Prioritisation of safety equipment will help initial motivation to the safety movement of immediate reduction of accidents,” added Pandey. As a result, the company stresses upon the concepts of ‘First things first’, ‘To be seen’ and ‘To see’, where it believes that millions of accident opportunities can be avoided by working on assisting the drivers for recognition of the traffic. Early recognition gives more time to react and longer braking distances to drivers, thus reducing the chances of an accident dramatically. Of the statistics cited by Pandey, while two-wheelers and cars cause 2.1 percent and 9.1 percent of the total road accident deaths in India respectively, it is the CVs which contribute to over 37 percent of the total road deaths, with more than 200,000 accidents occurring at night. Hella believes that vision technology could help curb road accidents, with affordable indigenous solutions like its advanced LED tail-lamps offering better recognition during night, thus aiding road safety in commercial trucks. “This has led us to come up with an indigenous solution of low-cost LED tail-lamps for CVs, which are maintenance-free and offer long life. These lamps are both water- and dust-proof and offer high vibration proofing too,” said Pandey. The company also has LED tail-lamps for passenger cars, which offer homogenous tail- and stop-light functions through a reflex reflector, also having an integrated rear fog lamp. 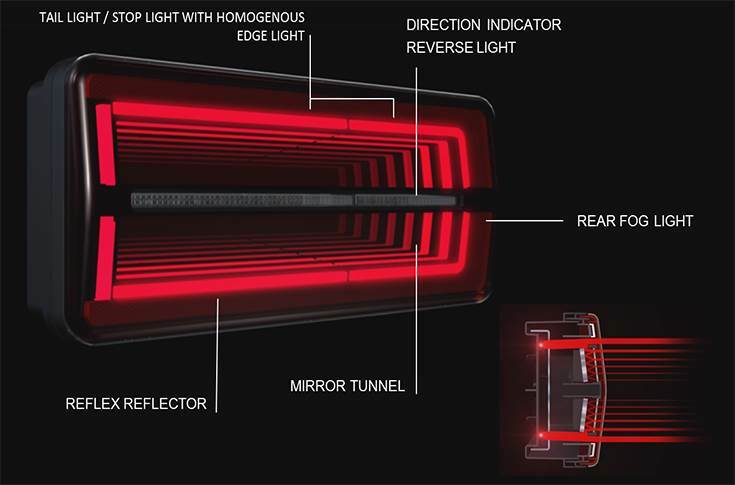 “Moreover, the LCD headlamp is another advanced lighting technology which offers superior beam throw on the road and can also project lane markings on the road to offer lane-keep guidance and optical distance warning from the vehicle in front,” added Pandey. “For headlamps in the CV space, in India, we have made the lighting technology affordable through a modular approach, which ensures lesser tooling investment and quick development time as its basic core,” Pandey pointed out. “Being a low-income country, India needs to significantly invest in research to drive innovation, in order to come up with indigenous solutions to aid road safety,” Pandey concluded. The company is also working towards spreading awareness on road safety, and has taken the initiative of founding the Drive Smart Drive Safe NGO, where it brings together all nodal agencies including ACMA, SIAM, FICCI and CII. The company is also going forward with its ‘Vision Zero’ model, where it eyes zero road accidents and zero fatalities with advanced safety systems including automated driving, Advanced Driver Assistance Systems (ADAS) and Driver Assistance Systems which include ABS, ESC and Brake Assist. 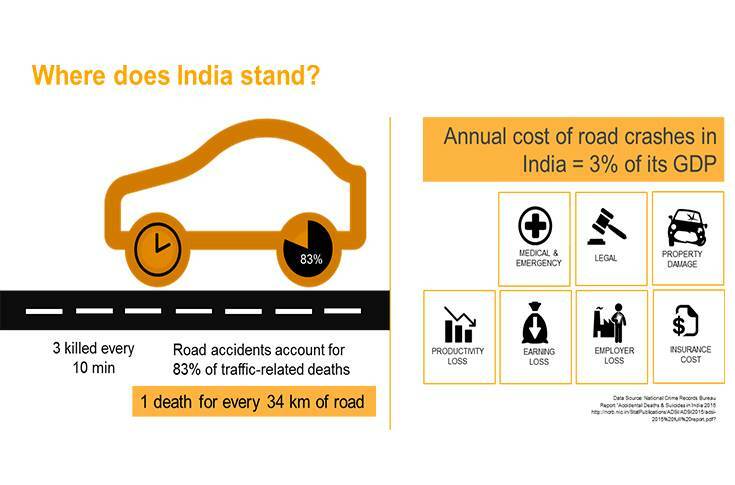 From Continental’s experience from other markets, it foresees ESC to hold huge potential to enhance road safety in India. 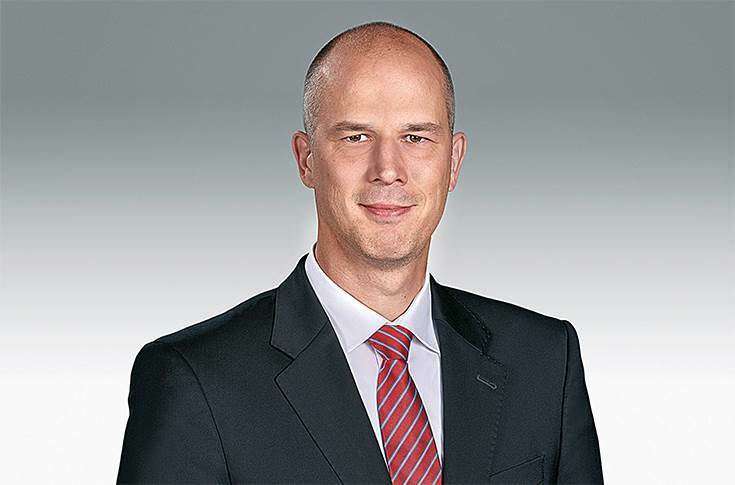 Citing an example of Germany’s progress in curtailing road accidents, Alexander Klotz, head, India Technical Centre, Continental (pictured below), said, “Germany’s road accident fatalities stood at over 25,000 per year in 1973, when seatbelts were first introduced in the country. Introduction of ABS in 1978 and dual airbags in 1985 brought down the number significantly to below 15,000 mortalities. Further, with coming in of ESC in 1995 and more advanced functions such as adaptive cruise control being implemented in 1998, the country’s fatal accidents have been cut down to stand at 3,170 in 2017,” revealed Klotz. “Man and machine could work hand-in-hand by having a context-based interaction where the vehicle could take over when the environment becomes tiring for human control and vice-versa. The vehicle would also be able to scan the surroundings with a host of sensors, cameras, lidars and radars, and also connect to the cloud and gain road information by V2X communication, thus, enhancing vehicle safety on the road,” said Klotz. With assisted ADAS functions including adaptive cruise control (ACC), emergency brake-assist, blind spot detection (BSD) and lane change-assist becoming popular since 2015, and quickly evolving into advanced partially assisted safety features like autonomous emergency braking (AEB), remote parking and highway assist by 2016, full vehicle autonomy is expected to become a mainstay on the roads by 2025, offering capabilities such as highway chauffeur, low-speed chauffeur and full autonomous driving. However, all the multitude of vision cameras, lidars, and radars are also set to pose a tremendous challenge for processing power on-board, thus, needing scalability of processors and software modules. “Scalable solutions are very important for us being a major global player so that these technologies could also be implemented in other parts of the world,” said Klotz. It also envisions the need for superior braking technology for autonomous cars, where it sees electronic braking systems and full support by-wire technology replacing conventional brake boosters and vacuum pumps, thus limiting braking redundancy to a minimum for actuation capability at all times. As the human race enters into a new technology-driven age, the concepts of mobility are also set to be transformed dramatically from what they have been over the past century. With innovations in vehicle safety systems, and new solutions like autonomous driving and shared mobility getting adopted at a speedy pace, road safety is then headed in the right direction, where decisions made in split-second mathematical calculations could well be safer than those made with the heart and mind. Technology certainly brings a lot of hope to improve the apathy that is there on the roads today.